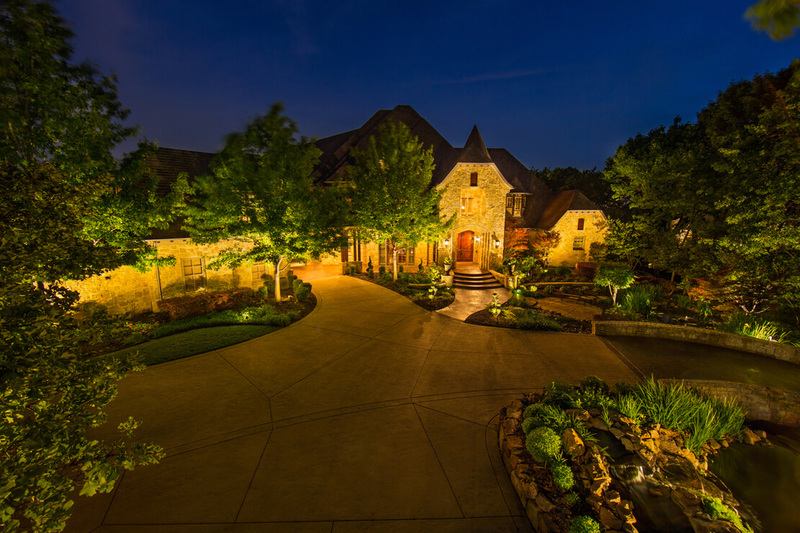 Professional Landscape Lighting For Dallas, Houston, and Denver From One Of The Top Lighting Companies Around. We partner with you to develop a design plan that highlights the unique features of your property. Our goal is to exceed your expectations, not your budget. We believe that key features define and form each home’s character. These distinct elements such as width, height, angles, pattern, and texture are strategically illuminated, showcasing the entire home in a three-dimensional view. LandMark’s attention to detail and custom designs transforms a home into a bold architectural statement. 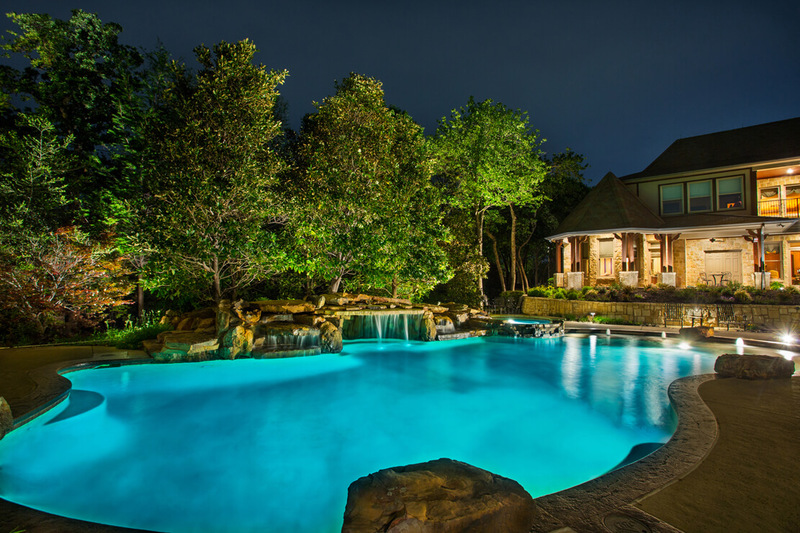 As a light company, our personal goal is to create a more intimate space in your backyard. We believe any backyard is an extension of your home and personal style. 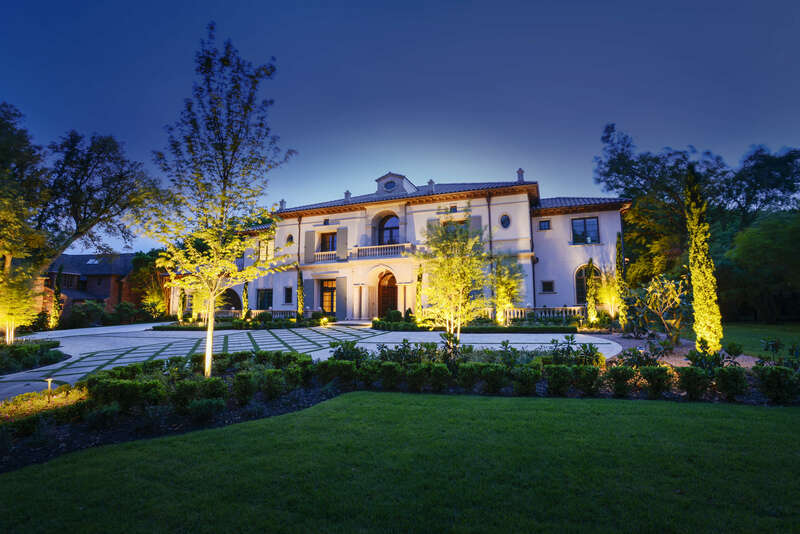 An ambiance of tranquility and beauty is created as we use subtle light to accentuate exterior landscapes. The end result is a resort-style oasis that will beckon you to stay outside just a little bit longer. We walk-through your property & create custom designs that fit your budget, lifestyle, outdoor living space, & landscape. We know that most people spend a lot of money & time planning their dream homes and outdoor living spaces. We want to make sure that you know exactly what you’re getting with this landscape lighting company. This is why we offer you a FREE demonstration. We will show you exactly what your entire home and backyard will look with your new landscape lighting before you ever make a financial commitment. We want to make sure your experience with LandMark is an experience you can tell to your friends, family, and neighbors about. During your installation we will make sure that we show up on time, with a project manager, and experienced workers. Upon completing the installation, we make sure your yard is clean and functional (like the way it did when we arrived) . After installing your new landscape lighting, there will be a final walk through (at night) to make sure everything looks the way it did during your demonstration. We strive to always exceeded your expectations to build a relationship with you for a lifetime. We partner with every client to develop a design plan that highlights the unique features of each property, while providing maximum value. Our goal is to finish each project having exceeded our customer’s expectations, not their budget. We will walk through your property and create a custom design that fits your budget, lifestyle, outdoor living space, & landscape. We know that most people have spent a lot of money, and time planning their dream home and outdoor living space. We want to make sure that you know exactly what you’re getting with this landscape lighting company. This is why we offer a FREE demonstration. We will show you exactly what your entire home and backyard will look like lit up before you ever make a financial commitment. You get to see your landscape lighting before you buy it! We want to make sure your experience with LandMark is an experience you can tell to your friends, family, and neighbors about. During your installation we will make sure that we show up on time, with a project manager, and experienced workers. Upon completing the installation we will have your yard looking the way it did when we arrived – clean and functional. 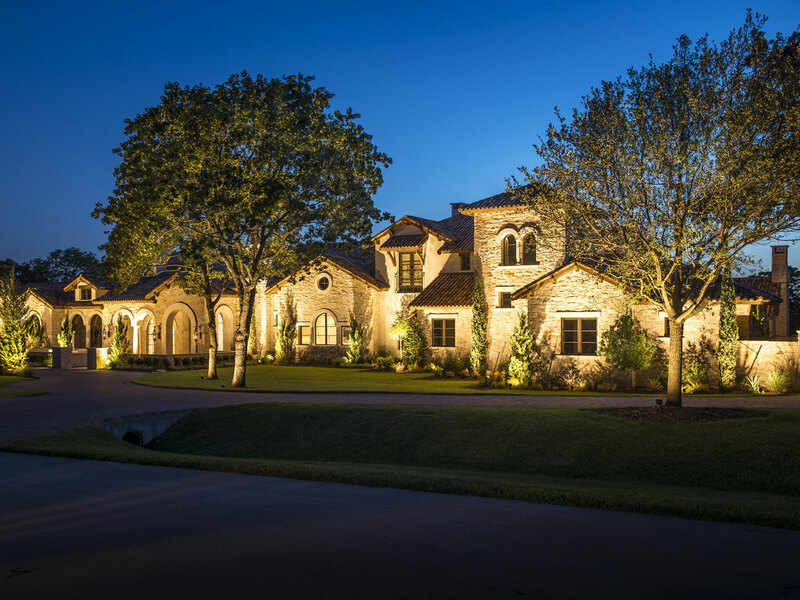 After installing your brand new landscape lighting, we will do a final walk through (at night) to make sure everything looks the way it did during your demonstration. We aim to exceed your expectations and build a relationship with you for a lifetime.